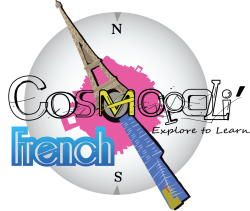 At Cosmopli’French, we believe the best way for you to learn is to take you from a basic French class in Melbourne to a cultural lesson on France. Although no travel takes place, we transport you to France through cultural learning experiences. We invite you to join us on our journeys and begin learning not just French, but France.